R&P considers our employees our most valuable resource, and we are always looking to add to our team of professionals.  R&P continuously pursues opportunities to provide innovative solutions to our customers while supporting the growth of our employees. Operating nationwide, R&P currently employs more than 135 employees located in various locations throughout the country including Washington, DC; Virginia Beach, VA; Mobile, Al; Mayport, FL; Pascagoula, MS; San Diego, CA; and Marinette, WI. R&P provides equal employment opportunities (EEO) to all employees and applicants for employment without regard to race, color, religion, gender, sexual orientation, national origin, age, disability, genetic information, marital status, amnesty, or status as a covered veteran in accordance with applicable federal, state and local laws. R&P complies with applicable state and local laws governing non-discrimination in employment in every location in which the company has facilities. This policy applies to all terms and conditions of employment. Do you know somebody interested in joining our team? Please refer him/her to us!